Located on the east coast of Argentina in the Chubut Province, Puerto Madryn is still technically in the Patagonia region. It’s got plenty of beaches where you can hang out, but the main attraction by far is the appearance of Southern Right Whales that visit its bays. 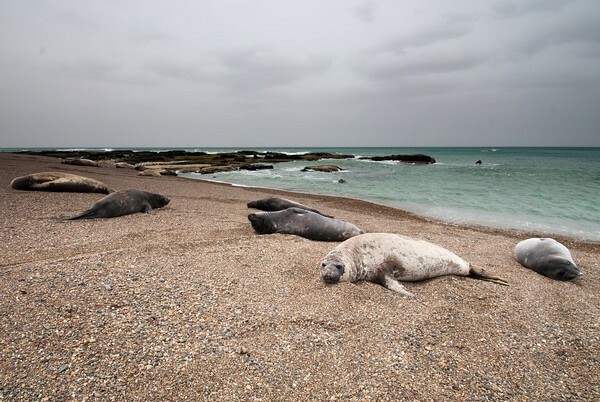 The city is located just next to the famous, wild-life filled Valdés Peninsula, where visitors can roam amongst penguins and elephant seals in addition to spotting whales from shore. Take a boat tour, learn a little about marine biology in local museums, and have a great seafood dinner in downtown Puerto Madryn. It’s a tourist destination in the summer too, even when the whales are away. Southern Right Whales frequent the coastal waters off of Puerto Madryn and the nearby Peninsula Valdés, making this area a big tourist destination for wildlife-loving visitors. June to December is peak whale-watching season, so be sure to visit then if you’re keen to spot them. It’s even possible to see whales from the shore if you head to El Doradillo beach, just 30 minutes away from the city. Whales come to the bays to give birth and teach their calves how to swim, and you’ll often spot them playing just offshore. 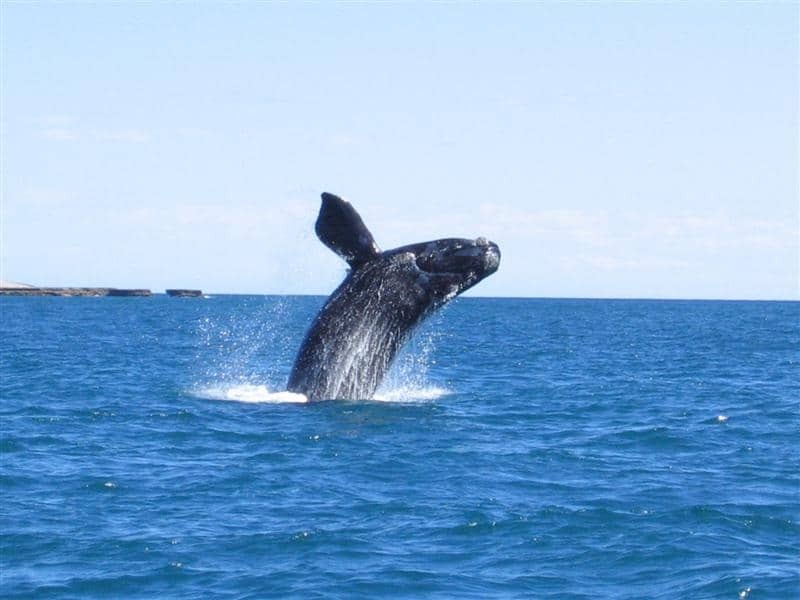 To get even closer, take a whale watching tour by boat to watch these massive creatures surface just next to you – it’s definitely one of the most popular tourist activities in Puerto Madryn. Learn a little more about the ecosystem of the area by visiting this three-story maritime museum beside the ocean. You can learn all about the wildlife of the gulfs and the Valdés Peninsula here with interactive, sensory exhibits. There’s an enormous whale skeleton on display and guests can climb to the top of the lookout tower for panoramic views of the coastline. Though small, the museum includes a library, art displays, a tank of small sea creatures, and a room where you can feel as if you’re in the ocean amongst the whales, listening to their calls and watching them swim by. Get in the water with sea lions to discover just how curious and playful these creatures are in their natural environments. You can book tours to snorkel or scuba dive with them just off Punta Loma where hundreds live year round. Though sea lions can be aggressive on land, they’re docile and fun-loving in the water, and they’ll come up and engage playfully with humans. For other diving excursions, check out nearby wrecks filled with coral and fish. 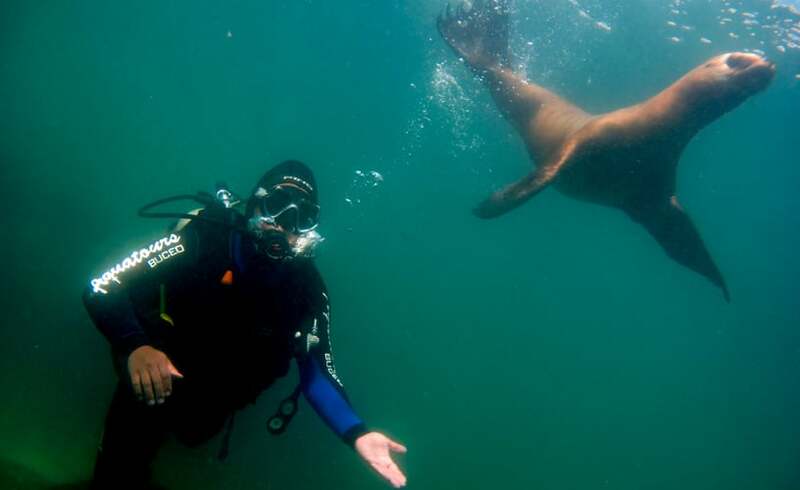 Puerto Madryn is considered the diving capital of Argentina because of its good visibility and abundance of marine life. Lobo Larsen is a favorite company to arrange snorkeling or diving trips with, and their guides receive rave reviews. Another big attraction in the area, if you want to walk amongst lots of little penguins, be sure to visit Punta Norte on the Valdés Peninsula or make the longish drive to Punta Tombo Natural Reserve. Both places are popular spots for walking amongst literally thousands of Magellanic penguins (but Punta Tombo is insane). From September to April, these flightless birds come to those particular spots to mate and give birth, and you’ll see them eating, sleeping, mating, and caring for their young. They’re not afraid of humans, so be sure to give them their space and be careful of their nests as you wander their beaches. You can arrange for a guide to tell you more about them or just visit yourself! They might not be the best beaches in the world, but if you’re here in the summertime (December through February) they’ll do the job. They’re long and sprawling so there’s plenty of room to hang out, sip some mate, or have a picnic, though the water can be cold and the wind a little strong. There are often concerts held on the beach, and you can grab a meal or drink at one of the many surrounding cafes, restaurants, and bars. Because of the wind, lots of local shops offer kitesurfing or windsurfing lessons and rentals along the beach. The one in town is nice enough, but head to the pristine El Doradillo to see whales, or the peaceful pebble beach of Playa Parana to relax. A popular day trip for tourists, you can visit a Patagonian estancia (ranch) to learn about how life works on an authentic sheep farm. Take a tour of the property, check out the livestock and local wildlife, and even arrange to go horseback riding. At most of these ranches, you’ll get to enjoy an asado (barbecue) of roasted lamb and a great wine list. At the nearby Estancia San José, you can also enjoy a folklore show and sheep-shearing demonstration. Estancia Rincon Chico is located close by on the Valdes Peninsula and offers wildlife tours. Further out, one of the most popular ranches, Estancia San Lorenzo, will allow you to combine your visit with a trip to the penguin colonies. 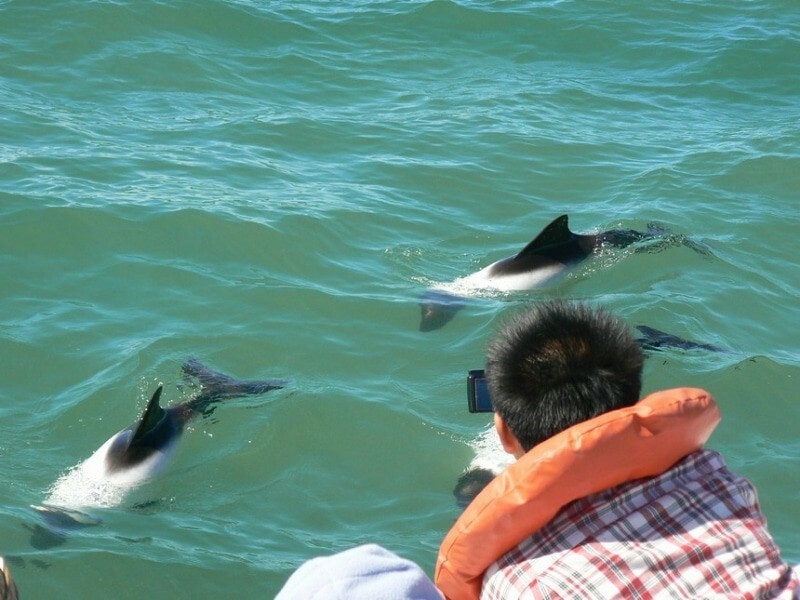 If you’re hoping to spot some pods of dolphins while you’re here, book a tour to see the local Commerson’s dolphins playing and swimming in the open ocean. Trips will take you out toward Puerto Rawson and the Golfo Nuevo to see this rare black and white species of dolphins, nicknamed “panda dolphins” or “skunk dolphins. ” Your guides can tell you all about the smallest dolphin in the world as you watch them jumping and darting around the boat. You can also see dusky dolphins, which are known to be friendly and love to play in the boat’s wake. When whale season ends, dolphins take the spotlight in town from December to March. 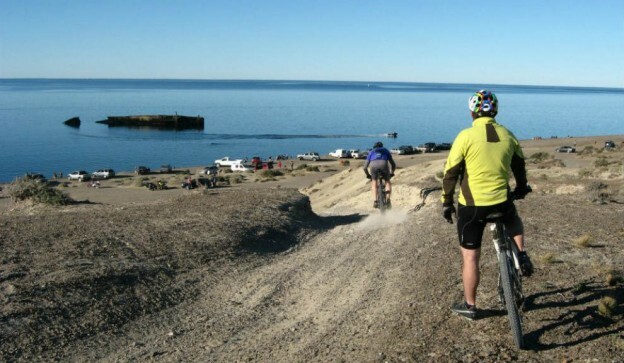 This peninsula is actually a wildlife-filled reserve and one of the highlights of any trip to Puerto Madryn. Located only 48 miles (77 kilometers) from the city and situated between the Nuevo Gulf and the San Jose Gulf, you can visit the gorgeous beaches, interesting geography, and many marine animals of this UNESCO World Heritage Site. There are colonies of elephant seals and a lighthouse that’s been converted into a hotel at Punta Delgada and penguins at Punta Norte. The only town on the island, Puerto Pirámides, is a cute little village surrounded by pyramid-shaped cliffs with lots of retro cafes, bars, and tour companies. From here you can easily arrange whale watching, hiking, kitesurfing, fishing, or diving. Not too far outside of town, Punta Loma is a protected reserve where you can check out the many sea lions who make this area home. Even if you choose not to go swimming with them, you can observe them from land at the only permanent South American sea lion colony. There are hundreds of lobos marinos that live on the pebble beach here, and for a fee you’ll get to watch them from a lookout point at the top of some rocky cliffs – binoculars would be a plus! Make the trip yourself or go as part of a 4×4 tour to visit year-round. 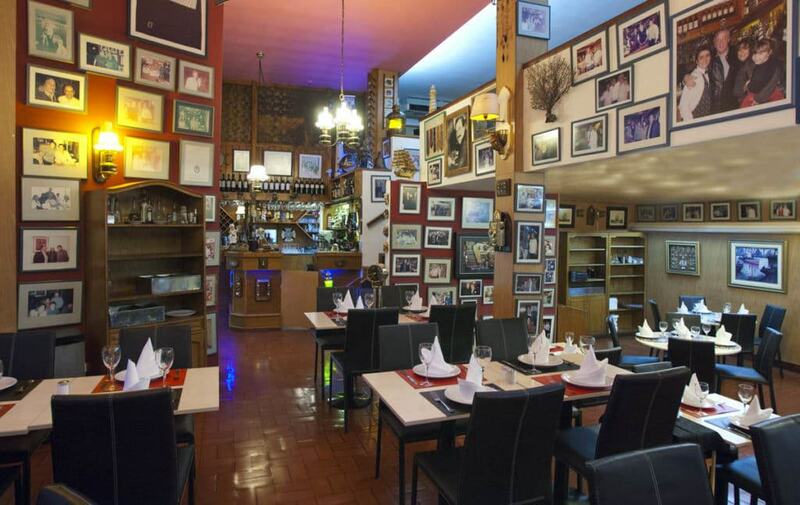 Because of all of the visiting mouths that it has to feed, Puerto Madryn has a large amount of high quality restaurants. It’s especially fantastic if you’re looking for traditional Argentine cuisine like steak or lamb, but there’s also amazing seafood and Italian. Cantina El Náutico is fab for seafood, paella, grilled prawns and octopus, as well as desserts. En Mis Fuegos is a popular gourmet spot for romantic, multi-course meals made with local and organic products. Unamesa comes recommended by everyone for its seafood, risotto, steak, and fresh vegetables from the garden, and they also offer cooking lessons. 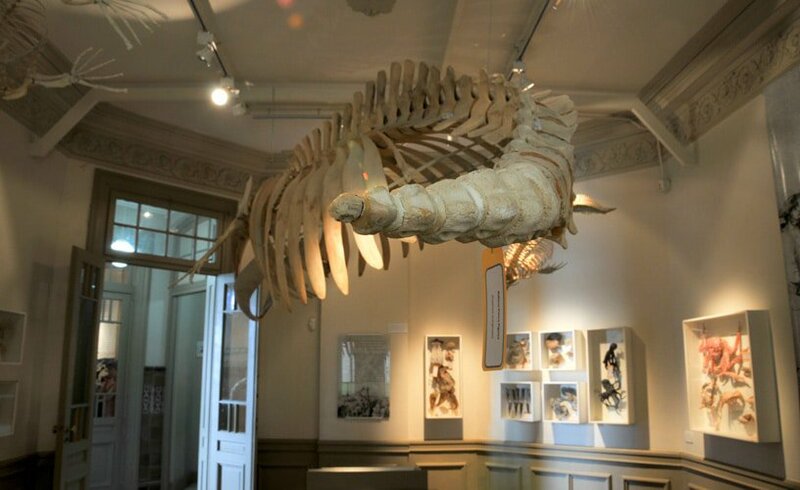 For a little more background on the nature and history of the surrounding area, head to this small museum located in one of the oldest houses in town to learn about the biology of native sea life and land animals. Check out their preserved specimens like stuffed birds and skeletons, learn about whales and marine mammals, and hear about the history of the Welsh people who settled here. A short walk from the center, admission is free so it’s worth a stroll through the exhibits, especially on a rainy day. The preserved giant squid is a highlight! If you want to see colonies of these massive elephant seals, then head to Caleta Valdés, Punta Delgada, or Punta Ninfas. There’s also a lesser known spot called Isla Escondida which is located on the beach near Rawson, south of Puerto Madryn. You’ll be able to spot mothers and their incredibly cute seal pups, along with the gigantic males. Elephant seals are actually the largest species of seal in the world. In this area, males arrive in August and mating (and birthing) season begins in September, with colonies reaching even higher numbers in October. It’s possible to see babies suckling from their mothers, and in November you’ll catch molting season, when they begin losing their fur. Take a tour or head to these spots yourself, but be sure to give them their space! There are a couple of small towns about an hour or so outside of Puerto Madryn that make for good day trips. Trelew is a wool-processing center with a nice paleontology museum that has dinosaur fossils on display – the largest dinosaur fossil ever discovered was actually found nearby. You can check out a real lab on site where scientists analyze those fossils. A little farther out, the town of Gaiman is a farming village that was founded by the Welsh in the 1800s. It’s got historic buildings and lovely little Welsh tea shops. Stop by Casa de Te Ty Gwyn for afternoon tea because they’ve got excellent platters of bread, jam, cakes, and tea for sharing. Many of the tour companies in Puerto Pirámides can hook you up with a kayak or a kayaking tour for the afternoon (or even multiple days). Paddle out into the Gulf of San José and watch the sea lions and seals that swim around, go bird watching, listen for whales, and enjoy sunsets from your kayak. Patagonia Explorers arranges sea kayaking trips and wildlife safaris which they can combine with hikes, camping, meals, and all the gear you need. There’s tons of outdoor adventure to be had when you’re done spotting marine life. Head out for a trek or rent a mountain bike and cycle from beach to bay. 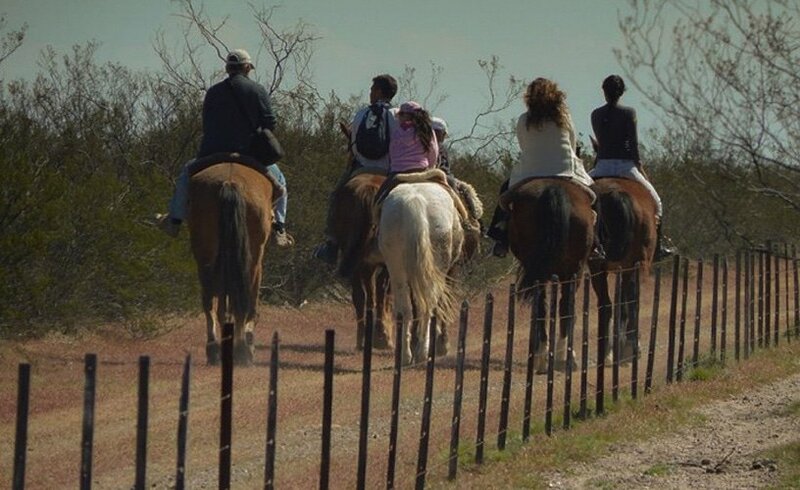 You can also go horseback riding along the cliffs and hills, or arrange to head out into the countryside with an estancia. There’s sandboarding down the dunes, and waterskiing behind a few local boats in summertime. Check out the kiteboarding and windsurfing available at Puerto Madryn’s main beach or book a sport fishing tour with a local guide. If all that’s a little extreme, you can always go play golf at the Puerto Madryn Golf Club.